Posted 15 April 2014 & filed under 1940s, Agriculture, Life and leisure, Mary Myers, Mills, Places and spaces, River Ver, Sopwell Park. 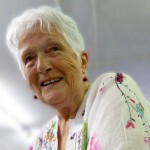 Mary was born in 1929 and lived in New House Park. She recalls the Barnett family who lived in Sopwell House, previously called Sopwell Manor, and how Lady Aileen Barnett was frequently caught speeding. She remembers picking mushrooms, the ice house, tobogganing on the golf course, and seeing otters and kingfishers on the river. 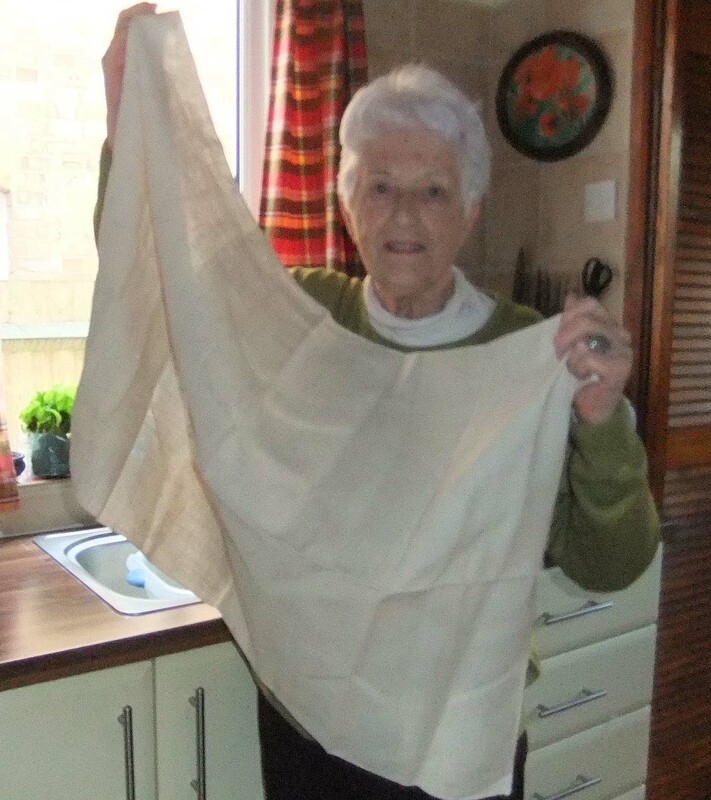 New Barnes Mill was in production then and she still has a tea towel made from one of the grain sacks. She has fond memories of playing around that area while trying not to be caught by Mr Brown the farmer.